Tacita Dean, The Montafon Letter, 2017 (detail). Chalk on blackboard. 366 x 732 cm. Glenstone Museum, Potomac, Maryland © Courtesy the artist; Frith Street Gallery, London and Marian Goodman Gallery, New York/Paris. In spring 2018, leading artist Tacita Dean will exhibit pioneering, poetic work in our new galleries. Tacita Dean’s interest in landscape phenomena has taken her around the world: from the unspoilt landscape of Bodmin Moor in England to the open rangelands of Wyoming in the American West to film a rare solar eclipse. Dean is a champion of photochemical film, yet her wide-ranging practice extends across a multitude of mediums. 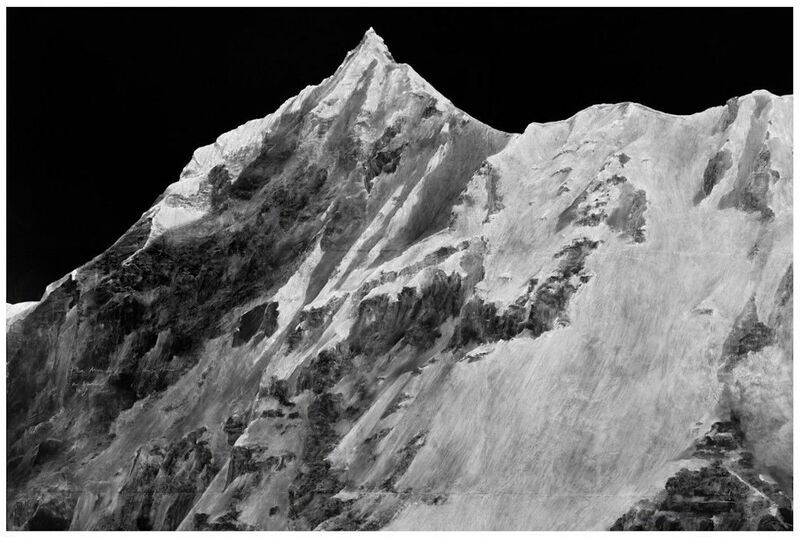 In the newly opened Gabrielle Jungels-Winkler Galleries, the internationally renowned visual artist and Royal Academician will explore “landscape” in its broadest sense: intimate collections of natural found objects, a mountainous blackboard drawing and a series of cloudscapes in chalk on slate created especially for these spaces will draw you into Dean’s vision. The highlight of the exhibition will be a major new, experimental 35mm film, Antigone, shown as two simultaneous cinemascope projections. This quasi-narrative film features writer/poet Anne Carson and actor Stephen Dillane and combines multiple places, geologies and seasons into a spectacular cinematographic frame using the same masking technique first developed by Dean for her Tate Modern Turbine Hall project FILM (2011). Antigone lasts 56 minutes and screening will start promptly on the hour, every hour. It was at the RA that the likes of Constable, Gainsborough and Turner championed the genre of landscape painting. Tacita Dean takes up this legacy in immensely beautiful and poetic works that ask us to slow down and consider our place in human, geological and cosmic temporal scales. This is one of three distinct exhibitions to form an unprecedented collaboration with the National Portrait Gallery and the National Gallery. Each show focuses on a genre central to the shaping of the institutions’ collections – LANDSCAPE, PORTRAIT, STILL LIFE – and looks at them through the contemporary prism of Tacita Dean’s artistic practice. All ticket prices include £2.50 for a printed gallery guide.